File photo of Whistler Blackcomb in B.C. 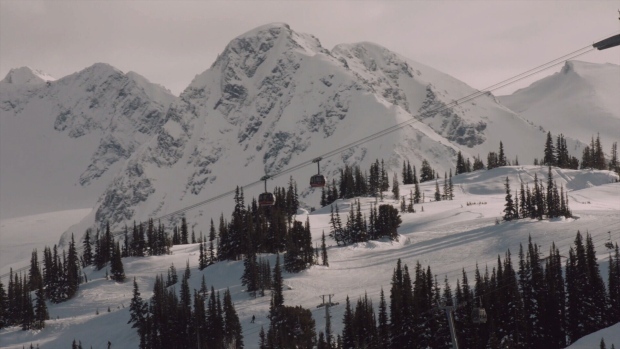 A heightened avalanche risk shut down three ski runs at the Whistler Blackcomb resort Thursday. In a series of tweets posted between 2:20 and 3:20 p.m., the resort announced the Showcase T-bar, Blackcomb Glacier and the Tube Park would be closed for the remainder of the day. The closures come a day after an avalanche at the SilverStar Mountain Resort near Vernon left a 42-year-old man critically injured. The resort said it has retained "independent avalanche consultants" to help investigate the slide, which took place at an in-bounds area of the mountain called Putnam Creek. The incident shut down the entire resort on Wednesday, but SilverStar reopened Thursday morning. Interior Health was not able to provide an update on the man’s condition Thursday, citing privacy reasons. A spokesperson for Whistler Blackcomb said the SilverStar avalanche did not influence its decision Thursday, but said the incident is "an indicator of what the conditions are like now," adding that the resort continues to monitor snow conditions on a constant basis to ensure the safety of visitors. According to Avalanche Canada, warming temperatures have increased the risk of avalanches by destabilizing the snowpack across the province. In a widespread public warning issued Monday, the agency addressed anyone heading into the backcountry, and applies to large portions of B.C. and Alberta. "The snowpack really doesn't like rapid changes," senior avalanche forecaster Grant Helgeson told CTV News. "The snow's actually destabilizing very quickly and as a result we're seeing many large natural avalanches starting to creep up on us throughout the mountains of B.C." Current conditions are not typical of spring, Helgeson added. Around this time of year, the snowpack is typically stable in the morning, but above-average overnight temperatures aren't dipping low enough to refreeze the snowpack. According to Environment Canada, the warm spell that triggered the avalanche warning is expected to last into next week.